Mom Prom Keweenaw, in partnership with U.P. Kids, invites all women 21+ to rock the red carpet! Now in its fifth year, this fundraiser supports local families in the process of adopting children. Ticket includes: 2 drinks, catered hors d'oeuvres, non-stop dancing to music spun by a professional DJ, access to our event photographer, and opportunities to bid on silent auction and raffle items. 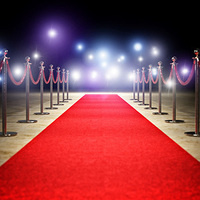 The red carpet will be rolled out at 7:30 pm. Wear any dressy attire that makes you feel like a rock star! Ticket includes 2 drinks, appetizers, music tracks by a professional DJ, access to event photographer, silent auction items and a few surprises. $40 advance, until 4/1. $50 until sold out. Tickets must be purchased in advance!